Arroyo Seco Recreaton Area is located 20 miles west of Greenfield, CA off of US Highway 101 in Monterey County. The campground has 47 sites - modern, primitive and group. 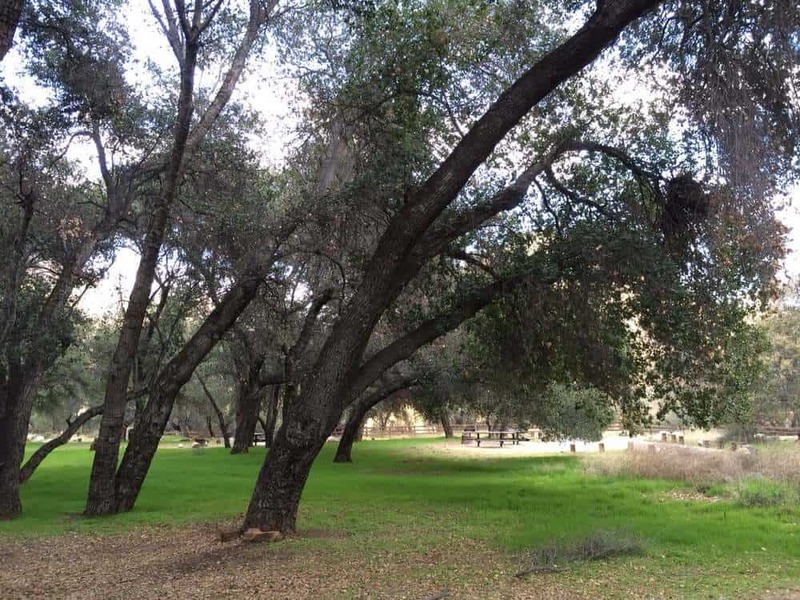 The campground offers views of the Ventana Wilderness mountain peaks and lakes.It is nested into the hillside surrounded by abundant shrubbery and large oak trees. It is next to the Arroyo Seco River. The Ventana Wilderness also known as "The Gorge" provides ample opportunities for hiking, swimming, backpacking, hunting and horseback riding. Available for tent or RV camping and Day Use. 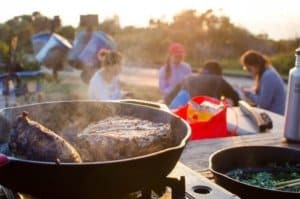 Arroyo Seco Recreation Area is a wonderful place to spend the day cooling down by the river and BBQing with Friends and Family. The Arroyo Seco River runs past the campground, Abbot Lakes and the Ventana Wilderness. Just southwest is a very popular area known as "The Gorge" located in a deep canyon with the River running through it. Enjoy Swimming, Hiking, Backpacking, hunting and horseback riding. The 15.5 mile Santa Lucia Trail as well as shorter trails are available. 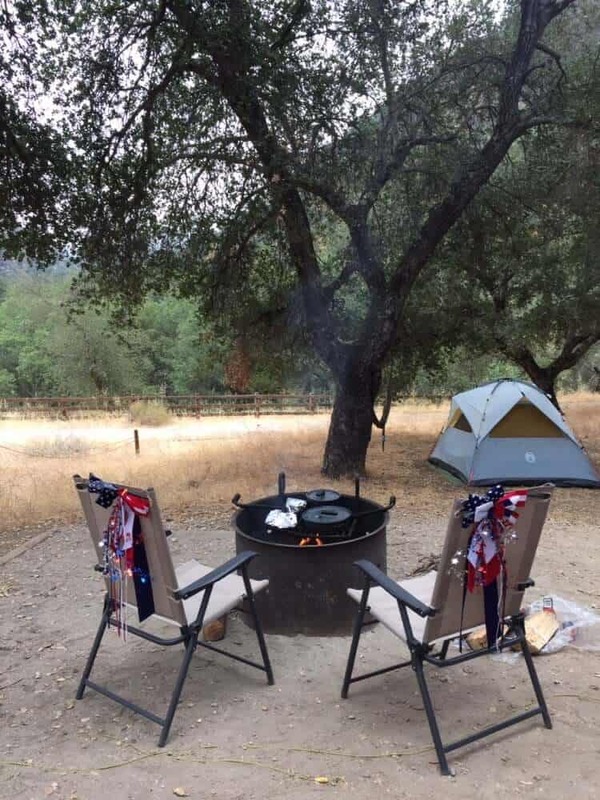 Q: What is the difference between the Modern and Primitive campground? A: Modern has flush toilets, coin operated showers and water spigots. Primitive has pit toilets and water spigots. Q: What are the rates for the Modern and Primitive campsites? Q: How many quarters does it take to start the showers in the Modern campground? A: It takes 6 quarters or $1.50 to start the showers. Every quarter after that is 1 additional minute. Quarters can be acquired from the camp host. Q: Can we buy firewood and/or ice at the campground? A: Bundles of firewood can be bought from the camp host for $10 per (cash). Ice is also available during the summer season or ice can be acquired in Greenfield, the closest town from the campground. It is approximately 18 miles away. Q: Does our campground parking permit gain us free access to the Day Use Area or the Trail Head? A: Unfortunately your campground parking permit does NOT cover entrance into our Day Use Area/Trail Head. To park in either parking lot is a $10 day use fee or you may leave your vehicle parked at your campsite and walk to each area. Q: Is there phone service in the campground? A: There is no cell signal in the facility but there is a pay phone located in the Modern campground attached to the second bathroom building. There are signs that direct you in the campground. Q: What time do walk up (non-reservable) sites go on sale? Q: Does my USFS Senior or America the Beautiful pass give me 50% off of a double site or group site? A: You may only qualify for 50% off of your campsite if it is a SINGLE site. Double sites and Group sites cannot be discounted.